Constant companionship is not really necessary”-785. Springs from the heart and lights up the face”-786. Pythias and Damon were great friends. Once they visited Syracuse where the tyrant Dionysius was ruling. 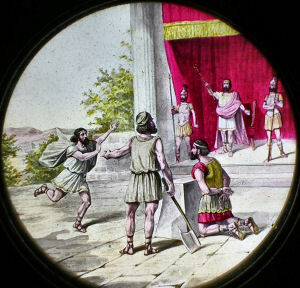 The king suspected the intention of their visit and arrested Pythias for anti- state activities. He passed a death sentence on him after rejecting all his arguments. His friend Damon felt very sad and tried to help him. At the same time Pythias’ mother was suffering from serious illness. So Pythias asked permission to go and see her before he dies. But Dionysius was not ready to believe him. He thought he would never come back. Damon, who was his true friend, told the king that he was ready to be a hostage in the place of Pythias. The tyrant agreed to that proposal. Damon was put in jail. The days passed; now everyone was waiting anxiously from Pythias return. When the deadline was about to expire, Damon was taken to the execution platform. But Damon was dead sure that he would come back. At that time there was a great commotion when people saw Pythias running towards the place. He came in and asked for pardon for the delay and explained that untimely and unseasonal weather stopped his ship. He begged the king to release Damon and execute him as per the original order. Whoever heard this started shedding tears and appreciated the great friendship between Pythias and Damon. It moved even the stony-hearted Dionysius and he ordered the release of both Pythias and Damon. From that time their name became proverbial for true friendship. Similar Story in Tamil literature. Pythias incident happened in the fifth century BCE. A few centuries later another story happened in Tamil Nadu in South India. There was a king by name Kopperum Chozan. He had problems with his sons about ruling the country. Sangam Tamil poets were honest and bold advisers. One of the poets advised the Choza king to hand over the kingdom to his wards and go to forest life—Vanaprastha—third stage in a Hindu’s life. The king said that he wanted to fast unto death. It is called ‘Prayopavesa’ in Sanskrit and found in the Kishkintha Kanda of Valmiki Ramayana. Whoever dies that way goes directly to heaven. They face the holy Northern Direction and starve to death. Several people used to join such a venture because they knew it is a ‘direct flight ticket’ to Heaven. As was the custom lot of scholars and poets joined the Choza king in the fast. One poet by name Pothiar was refused a seat in the hall by the king. He told him that the poet should go back home and can join only after the birth of a male child, which is required to go to heaven according to Hindu Law Books. He went back and came back after the death of the group and lamented. All this information is in Purananuru (verses 213-223), part of 2000 year old Sangam literature. Here is the interesting bit. Choza king asked his colleagues to reserve a seat for a poet named Pisir Anthaiar of the neighbouring Pandya kingdom. All other poets in the hall were surprised because the king and the poet never met. They told the king not to get disappointed by expecting him. A poet from the town of Pisir is a very close friend. The king’s words did not go waste. Pisir Anthaiyar came there just on time and sat with the king fasting until death. This is an example for true friendship like the Pythias- Damon story. 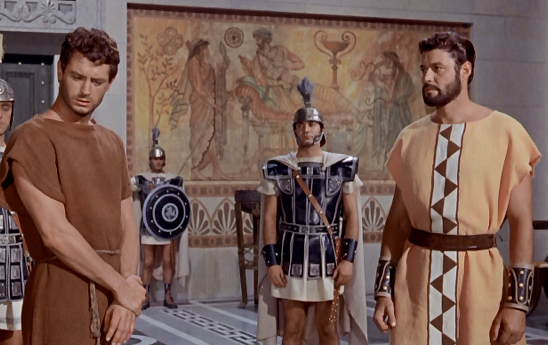 Greek story of Pythias and Damon was made into films in several languages. Like Pisir- Choza story we have stories of Kuchela/Sudama – Krishna friendship. The very first chapter of Panchatantra fables is about true friendship. 1.His love for his mother; Hindus say Matha, Pitha , Guru are goods. 2.Pythias also kept his words like Hindus. All ancient foreign visitors said, ‘in India there is no written legal document and all is done by word of mouth’. Hindu myths say they are like the legendary Harischandra. 3. 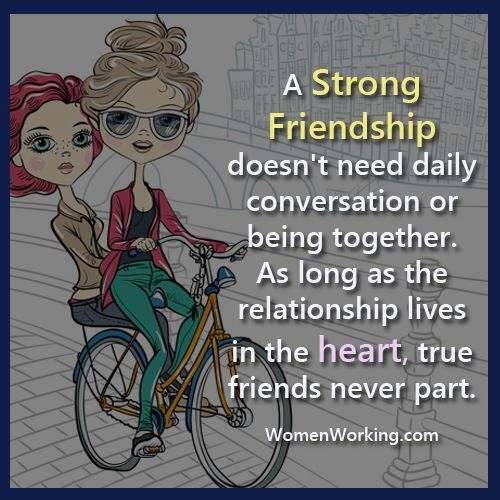 We have umpteen examples about true friendship. When Karna was insulted that he being a commoner, should not participate in Royal Olympic Games, Duryodana made him a king in a second. Karna was loyal to Duryodana till his last minute. So we see many similarities between the legends of Hindus and Greeks. One is also reminded of the great sacrifice of Sydney Carton in the novel of A Tale of Two Cities by Charles Dickens. I am not giving a comprehensive list of assassinations that happened in Indian history. Just to compare the less known assassination that happened in Tamil Nadu I am giving some known attacks. As far as we know it started in 73 BCE and went up to 1991. Tamil poet Tiruvalluvar and Vishnusarman of Panchatantra also mentioned such assassinations. Devabhuti, the last of the Sunga emperors, who was a weak, dissipated and debauched monarch was assassinated in his bed in dark by a slave girl dressed as his queen. He was killed in 73 BCE on the orders of his minister Vasudeva. Julius Caesar was assassinated in Rome around that time. And his own friend Brutus was part of the conspiracy. All of us know the ‘Et tu Brute?’ (You too Brutus!) exclamation of Julius Caesar. Mahatma Gandhi was assassinated by N Godse in 1948. In our own times Prime Minister Indira Gandhi was assassinated by her own bodyguard on 31 October 1984. 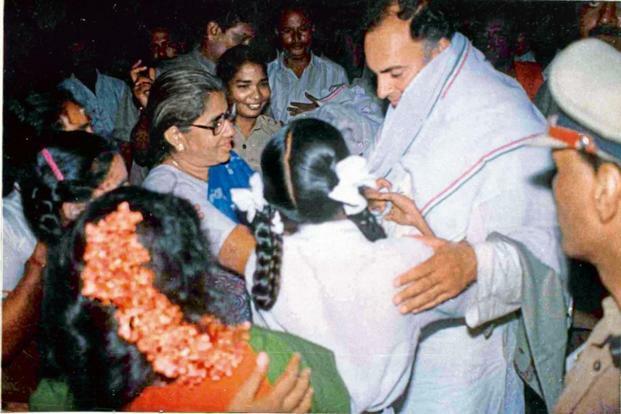 Later her own son Rajiv Gandhi was assassinated by a LTTE girl from Si Lanka, near Chennai in 1991. Do not be misled by the politeness or courtesy of language on the part of enemies. The enemy bends his words as he bends his bow, which is not for your good. So too, his tears of sympathy are not to be trusted. This is what happened in the case of Rajiv Gandhi’s assassination. In Periya Puranam written around 12th century CE by Sekkizar, we have a similar story. It is a sad and heart breaking story. There was a king by name Meyporul Nayanar ruling Chedi country from Tirukkovalur. He was a just king and conquered the nearby territories. He was a great Shiva devotee and respected any one coming with the Saivite symbols such as Vibhuti (holy ash), Rudraksha (holy garland) in saffron or white cloths. Muthanathan, a near by king who was defeated several times by Meyporul, realised that he would never be able to defeat Meyporul by honest means. So he conspired and took the guise of Shiva devotee. He hid a dagger in a bundle of palm leaf manuscripts and approached the palace. As usual all the gates were wide open for the ‘great devotee’ and he entered the palace room where the king was lying in bed with his wife. Knowing a person coming in an untimely hour, king’s body guard Dattan prevented him from entering the bedroom. But yet Muthanathan introduced himself as a great Guru and he had come with a rare manuscript to show it to the king. Datta could not stop him any more. When the ‘devotee/guru’ entered the bed room, the queen was surprised and got up suddenly. But the king showed all the respect due to any Shiva’s follower. When he asked the reason for his visit at the dead of night, disguised Muthanathan told the king that he had some rare Agama manuscripts and wanted to teach the king. He also insisted that he should be alone without the queen to listen to the secret doctrines. The king readily obliged and came back all alone. Muthanathan opened the bundle and took the dagger and stabbed the king. ‘Datta, He is our man’. Please take him out of the town with full security and leave him alone; make sure that no one harms him! Datta did as he was commanded. 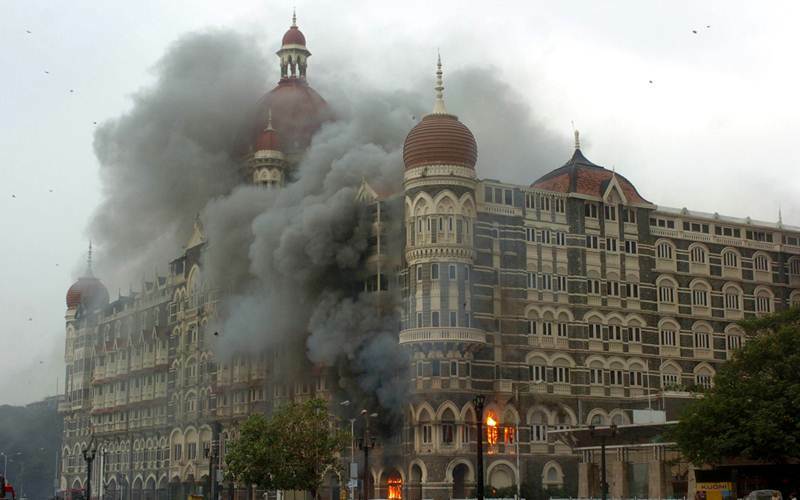 All this happened just because the respect for the external Saivite (religious) symbols! But Meyporul was made a saint among the 63 Famous Saivite Saints and worshipped in all the Shiva temples in Tamil Nadu. We hear lot of stories even today that terrorists come in different disguises, particularly abusing religious faith and symbols. Since Tiruvalluvar also sings about hidden arms, he might have heard such stories. Sekkizar, author of Periya Puranam, describes the appearance of Muthanathan in Saivite gear. ‘He appeared white outside (with smeared holy ash) but inside he was black. His mind was full of bad things’. The world has not changed much from the days of Devabhuti. Even before Devabhuti, Manu gives a list of kings who were dethroned or killed. Vena was one of them who met a violent death from the revolting general public. Something like French Revolution must have happened and Vena was ‘guillotined’. I have already posted three books of Tamil poetess Avvaiyar with Englsih translation.This is Nal Vazi- ‘Good Path’ composed by Avvaiyar in 40 verses. Part 1 contains 20 verses. Milk, pure honey, molasses, pulses— these four blended, I will offer you, O Pure Gem, beautifying the exalted elephant faced, give me the Triple Tamil of the ancient Academy or Tamil Sanga. Tamil verses taken from Project Madurai website; thanks. English matter IS taken from two authors and edited by me. 1.Virtue will accrue,sin will disappear, the past deeds are hoards to the earth born. On reflection naught; but this do men of all religions preach- Shun evil, Do good. 2.No castes exist but two, if we are to speak of it. According to the unfailing moral system, the givers are the great in the world and the non givers are base born, the bare truth as set forth in the codes. 3.This natural body is a bag of miseries. Don’t take this false body as true. Quickly do charity. If you do charity you, you will have moksha or liberation as those freed from mortal ills ordained by fate. 4.It is hard for anyone to do good action as conceived by him unless his past merits favour it. It will be futile like the blind man throwing his walking stick, at the mango down unless the favourable time arrives for it. 5 . The unattainable can never be attained, however hard we strive for the same. The attainable will never miss us, however kicked out they be. To sit in sorrow, ponder long by themselves, make the mind sore and die at best- is human lot. 6.In this world it is hard to get one another’s felicity except what has been allotted. To the life spirit inhabiting this body, of what avail is crossing the billowy ocean and coming back ashore. 7.Viewed in all possible ways, this body is a vile hut, replete with vile worms and foul diseases, and the sages who know it, don’t speak about it to others, but keep themselves in the world together and apart like the beautiful lotus leaf and the water about it: they live in the world and out of it at once. 8.Though countless are ways in which efforts are made to gather riches, they will not succeed unless ordained by fate. O men of great world, hearken, what is fit to acquire is honour. Wealth is unstable (takes to itself and flies away). 9.Even when the flood in the river has dried away and when the solar heat scorches the feet, the world is fed with spring water. To the mendicant poor, men of good birth will not withhold their gifts nor will they willingly say no despite their own vicissitudes. இல்லை என மாட்டார் இசைந்து . 10.However we weep and wail year after year and roll on the earth, will the dead come back, O men of the great world? Let us not do so. That is our WAY too. Till we depart ask what have we here? So give, eat and rest in peace. மாண்டார் வருவரோ மாநிலத்தீர் – வேண்டா! 11.O my body! Oppressed with appetites! If I say omit one day’s eating you will not. If I say take food for two days, you will not. You know not my trouble even for one day. To live with you is difficult indeed. 12.The tree standing on the river bank and the wealth acquired through intimacy with the king equally liable to fall. Is it not so? To plough and eat is the most excellent way of living. There is no work so noble as this. All other occupations are considered mean. 13.Indeed in this world, those that are destined to live long, who can destroy? Or those that are destined to be destroyed, who can enable to escape? Or those that are destined to always live by begging who can divert from that course? 14.Living frugally is better than begging. If the matter be well considered, it is disgraceful to procure one meal by flattery. To lose one’s life is far better than to lose his honour for the sake of a livelihood. 15.Those who meditate on Siva will have no suffering of any kind at any time. This is the way of over coming the decree of destiny. This is the true wisdom. None but these will ever subdue fate. 16.Know you that in the sea girt earth the quality of water is distinguished by the goodness of the soil. The quality of the good by liberality, quality of the eye by unvarying favour and the disposition of women, by a man not repugnant to chastity. 17.Those who are instructed by the wise not to do evil in this world, do not behave accordingngly or give alms. Hence they suffer want ; Why should they then attribute it to god, and not to their vicious actions? Will they obtain great wealth? Will an empty pot boil over? 18.In this vast earth a niggard will not give anything to his parents, children, country men, relatives and friends, even though they prostrate themselves at his feet. But he will give to strangers who inflict pain on him. 19.For procuring a measure of rice in order to appease our hunger, we take uncommon pains to offer our services, or to beg from door to order, or to take long voyage s on the ocean of clear water, or to pay homage or to rule over kingdoms, or to make verses in honour of noble people. 20.To satisfy pleasure ( not by means of a lawful wife) but by a prostitute, is like attempting to cross a river ( not by means of a boat) but by a grind stone: this way of living will destroy wealth and become the seed of poverty. It is not good for either this life or for the life to come. தமிழின் உயர்வுக்குப் பல காரணங்கள் உண்டு. இறைவன் அருளிய மொழி என்பதிலிருந்து காரணங்களை ஆரம்பித்து, அடுக்கிக் கொண்டே போனால் அது ஒரு கலைக்களஞ்சியம் அளவுக்கு விரிந்து விடும். சுயநலமுடைய அரசியல் சார்ந்த திராவிடக் கும்பல்களின் அரசியல் அடிப்படையிலான “பற்றினால்” இதை விளக்கி விட முடியாது. பல மொழி கற்ற அறிவு, புராண, இதிஹாஸ அறிவு, பண்டைய தமிழ் இலக்கிய அறிவு, சொற்களின் வேர் பற்றிய அறிவு உள்ளிட்ட பல்துறை வித்தகம் இதற்கு வேண்டும். தமிழில் உள்ள சொற்களை ஆய்ந்து உற்றுக் கவனித்தால் அதன் வேர் பலமானது எனத் தெரிய வரும். ஒவ்வொரு சொல்லுக்கும் ஒரு ஆழ்ந்த பொருள் உண்டு. வேர்ச் சொற்கள் வழியே சென்றால் பல சொற்களைப் பெற முடியும். உதாரணத்திற்கு ஒரே ஒரு சொல்லை இங்கு பார்க்கலாம். பூமி உருண்டை என்று சொன்னதற்காக கத்தோலிக்க குருவான போப்பாண்டவரிடம் பிரபல விஞ்ஞானி பட்ட பாடும் மரணமடைந்ததும் நமக்குத் தெரியும். ஆனால் தமிழனின் விஞ்ஞான அறிவு தமிழ்ச் சொல்லிலேயே வடிக்கப்பட்டிருப்பதை பூமி என்ற சொல்லிலிருந்தே காண முடியும். நம் முன்னோர் பூமி தட்டை என்று மேலை நாட்டினர் கொண்ட கருத்தைக் கொண்டிருக்கவில்லை. பல்லாயிரம் ஆண்டுகளுக்கு முன்பேயே இதை அண்டம் என்ற சொல்லால் அழைத்தனர். அண்டம் அல்லது முட்டை நீள் உருண்டை வடிவம் கொண்டது பூமி. அண்டம் என்பதால் உயிர்ப் பொருள்கள் தோன்ற ஆதாரமானதும் கூட என்பதும் பெறப்படுகிறது. ஞால் என்ற வேரின் அடிப்படையாகப் பிறந்தது ஞாலம். ஞால் என்றால் தொங்குவது என்று பொருள் படும். பூமி பேரண்டத்தில் தொங்கிக் கொண்டிருக்கும் ஒரு சிறு வடிவம் என்பது இதனால் பெறப்படுகிறது. இது தொங்கிக் கொண்டிருந்தாலும் இதில் வைக்கப்படும் பொருள்கள் பாதுகாப்பாக உள்ளன. அவை விழாது என்பதால் இது வையகம் என அழைக்கப்படுகிறது. காசியப முனிவர் தானமாகப் பெற்றதால் இது காசினி என அழைக்கப்படுகிறது. இப்படி ஒவ்வொரு சொல்லுக்கும் ஒரு பின்னணியும் ஆழ்ந்த அர்த்தமும் கொண்டிருப்பதைக் காணலாம். அதுவே தமிழ் வார்த்தைகளின் மகிமை. முக்கியமான ஒரு விஷயத்தை இங்கு நாம் கவனத்தில் கொள்ள வேண்டும். சில சொற்கள் சம்ஸ்கிருதத்தை அடிப்படையாகக் கொண்டு தோன்றியவை. ஆனால் அவற்றைத் தமிழ் அறிஞர்கள் தமிழ்ச் சொற்களாகவே கொண்டனர்; கையாண்டனர். சம்ஸ்கிருதம் இது, தமிழ் இது என்று அவர்கள் பாகுபாடு செய்ததில்லை. தமிழ் மற்றும் சம்ஸ்கிருதச் சொற்களை இரு கண்கள் என அவர்கள் கொண்டிருந்த பான்மையை உற்று நோக்குங்கால் மொழி பற்றிய காழ்ப்புணர்ச்சி தமிழகத்தில் ஒரு போதும் இருந்ததில்லை என்பதே தெரிய வரும். இந்தச் சொற்களை அன்றாட பேச்சு வழக்கில் அறிஞர்கள் மட்டுமின்றி சாமான்யரும் பயன்படுத்தி வந்தனர். இன்றும் இப்படிப்பட்ட ஆயிரக் கணக்கான சொற்கள் பயன்படுத்தப்பட்டு வருகின்றன. சரி, பூமியைக் குறிக்க மட்டும் எத்தனை சொற்கள் தமிழில் உள்ளன? ஆக இப்படி 62 பெயர்களை நாமதீப நிகண்டு குறிப்பிடுகிறது. இன்னும் சில நிகண்டுகளைப் பார்த்தால் இன்னும் பல பெயர்கள் கிடைக்கும். ஒவ்வொரு சொல்லையும் ஊன்றிக் கவனித்தால் அந்தப் பெயரால் பூமி அழைக்கப்படுவதன் காரணத்தையும் உணர முடியும். இப்படித் தமிழ்ச் சொற்கள் பல்லாயிரத்திற்கும் அர்த்தம் காண எத்தனை நாட்கள் வேண்டும்! தமிழனாக வாழ்வதில் பெருமைப் படுவதோடு தமிழ்ச் சொற்களின் ஆழம் கண்டு ஆனந்திப்போம்; அதை உலகறியச் செய்வோம்! BY THE UNFAILING FALL OF RAIN THE DOES WORLD SUBSIST. THEREFORE IT IS CALLED AMBROSIA OF ALL THAT BREATHES. COWS YIELD LESS. BRAHMINS FORGET THEIR BOOKS/ VEDAS IF THE LEADER DOES NOT GUARD JUSTICE. THE WORLD CLINGS TO THE FEET OF THE GREAT LEADER WHO WIELDS HIS SCEPTRE WITH LOVE FOR HIS SUBJECTS. 74.YOU WILL REAP THE FRUIT HEREAFTER OF WHATEVER YOU DO. ALL THINGS, GOOD AND PROMISING, END IN SMOKE UNDER THE INFLUENCE OF FATE.BUT OUT OF EVIL FLOWS WHEN YOUR LUCKY STAR IS IN THE ASCENDANT. GREAT MEN HAVE MIGHTY POWERS. IF YOU MEAN RUIN TO YOURSELF, OFFEND THEM AND SLIGHT THEM. THE WEAK WHO INSULT AND OFFEND MIGHTY MEN OF WISDOM ONLY INVITE DEATH WITH THEIR OWN HANDS. 77.THE WEALTH OF THE PLOUGH IS UNFAILING. THEY PRETEND LOVE FOR SELFISH GAIN. THEIR NATURE IS BAD. AVOID CONTACT WITH THE WHORES. BEWARE OF THEIR SNARE. EVEN A MAN OF NO LEARNING MY BE CONSIDERED WISE IF HE HOLDS HIS TONGUE IN GATHERINGS OF LEANED. 81.ALTHOUGH YOU ARE AS RICH AS CHOZA KING KNOW THE AMOUNT OF YOUR INCOME, THUS SPEND AND EAT. 83,.IF RAIN BE SCARCE, CHARITY IS SCARCE. CHARITY AND DEVOTIONAL PRACTICES WILL NOT BE OBSERVED IN THE WORLD UNLESS RAIN FALLS. 83.THOSE WHO ARE NOT HOSPITABLE TO GUESTS, POSSESS NO GOOD MANNERS. 85.GREAT MEN ARE THOSE WHO NEVER ASK FOR A FAVOUR. GREAT SOULS ARE HUMBLE AND MODEST. PETTY MINDED BOASTS AND BRAGS. 86.PERSEVERANCE IN BUSINESS IS AN ORNAMENT TO WEALTH. THOSE WHO HAVE INCURRED THE WRATH OF A POWERFUL KING WILL NOT SURVIVE WHEREVER THEY MAY GO. NEITHER GO TOO NEAR NOR TOO FAR FROM THE KING LIKE ONE WHO WARMS ONESELF IN THE FIRE. OF WHAT AVAIL IS A MAN’S LEARNING IF HE DOES NOT PRAY TO GOD. 91.THOSE WHO ARE NOT ACCUSTOMED TO READ GOOD BOOKS, POSSESS NEITHER KNOWLEDGE NOR MANNERS. THE SAND SPRINGS FLOWS WITH WATER AS YOU DIG DEEPER. BY DEEPER STUDY KNOWLEDGE FLOWS. A FAITHLESS HORSE THROWS DOWN THE RIDER IN THE BATTLE FIELD. TO BE ALONE IS BETTER THAN TO HAVE SUCH FRIENDS. THE HATRED OF WISE MEN IS A MILLION TIMES BETTER THAN THE INTIMACY OF SENSELESS FOOLS. FIVE ARE THE ORNAMENTS OF A COUNTRY- BLOOMING HEALTH, WEALTH, RICH HARVEST, HAPPINESS, DEFENSIVE FORCES. IT IS A LAND WHICH YIELDS RICH FOOD AND NEEDS NO FOREIGN AID. IT IS NO LAND WHICH NEEDS VERY HARD LABOUR. ALL LAMPS ARE OF NO AVAIL. THE LIGHT OF TRUTH IS THE ONLY LAMP WHICH THE WISE CHERISH. RAIN IS INSTRUMENTAL IN THE PRODUCTION OF GOOD FOOD AND IS ITSELF FOOD. VENTURE ON THE ACTION AFTER REFLECTION; TO SAY WE WILL REFLECT AFTER VENTURING IS DANGEROUS. IF A MAN SHOULD UTTER A LIE CONSCIOUSLY , HIS OWN MIND WOULD TORTURE HIM FOR THE LIE HE UTTERED. 55.VOWS, IF NOT DULY PERFORMED, WILL BE OF NO USE. THE HOTTER THE FIRE, THE PURER THE GOLD BECOMES. LIKEWISE THE HARDER THE AUSTERITY, THE MORE REFINED THE HUMAN SOUL BECOMES. A LOVER OF PROFITLESS WORDS IS BUT CHAFF AMONG MEN. THE SEA SAILING SHIP CANNOT MOVE ON LAND. THE STRONG WHEELED HIGH CHARIOT CANNOT RUN ON WATER. AVOID EATING FLESH BY KILLING. THE MIND OF THOSE WHO FEED ON THE FLESH OF ANIMALS ,LIKE THE CRUEL MENTALITY OF THOSE WHO CARRY DEADLY WEAPONS IS DEVOID OF ALL COMPASSION. ALL LIVING BEINGS WILL RAISE THEIR HANDS IN WORSHIP TO HIM WHO HAS NEVER TAKEN A LIVING BEING’S LIFE AND HAS ABSTAINED FROM EATING MEAT. RAINS AND ARVESTS ARE RICH IN THE LAND RULED BY THE RIGHTEOUS SCEPTRE OF AN ABLE LEADER. HE IS FREE FROM DISEASE WHO EATS WITH MODERATION WHAT IS AGREEABLE TO HIM. NUMBERLESS DISEASES PREY ON A GLUTTON WHO EATS BEYOND MEASURE, IGNORANT OF THE LAWS OF HEALTH. THE MAN WHO COMMITS ADULTERY CAN NEVER ESCAPE ENMITY, SIN, FEAR AND INFAMY. THE IDEAL HOUSE HOLDER IS HE WHO WILL NOT BE ATTRACTED BY THE FEMININE GRACE OF ANOTHER’S WIFE. 62.HE WHO WAS NOT IN HIS INFANCY IN WANT OF HIS MOTHER’S MILK CAN BEAR A HEAVY LOAD. ANOTHER INTERPRETATION IS- TAKE A LOAD TO SUIT YOUR STRENGTH. THE AXLE OF AN OVER LOADED CART BREAKS BY ADDING EVEN A GENTLE PEACOCK’S FEATHER. SAGES SEEWITH AN EQUAL EYE, A LEARNED AND HUMBLE BRAHMIN, A COW, AN ELEPHANT, AND EVEN A DOG OR AN OUT CASTE. WHERE DOES LIFE THROB BUT IN HER FLESHLY ABODE? WHERE DOES PERFECTION SHINE BUT IN MODESTY? 67.WALK GENTLY, THE WORLD WILL SUPPORT YOU. THE HARM WE DO UNTO OTHERS WILL BRING,IN QUICK SUCCESSION, HARM UNTO OURSELVES. IF A MAN COULD CHECK THE FEELING OF ANGER IN HIS MIND, HE WOULD GET ALL THAT HE WISHES TO HAVE. DO NOT TAKE TO GAMBLING EVEN IF YOU WIN. WHAT CAN THE FISH GAIN BY SWALLOWING THE BAITED HOOK? ANOTHER INTERPRETATION- WHEREVER YOU ARE SLEEP AT MIDNIGHT. EVEN IF YOU ARE UNDER WATCH, SLEEP BY MIDNIGHT OT AT LEAST FOR THREE HOURS. 39.SEEK WEALTH THOUGH YOU HAVE TO GO OVER THE TOSSING SEA. GREAT HARM MAY BE CAUSED BY ANGER. THEREFORE ONE SHOULD RESTRAIN ANGER TOWARDS ANYBODY. HE WHO DOES NOT POSSES AN IDEAL WIFE, WHO VALUES THE REPUTATION OF CHARITY, CANNOT HOLD HIS HEAD UP AMONG HIS FRIENDS. 45.IN THE MONTHS OF JANUARY AND FEBRUARY SLEEP IN A HUT MADE OF STRAW. 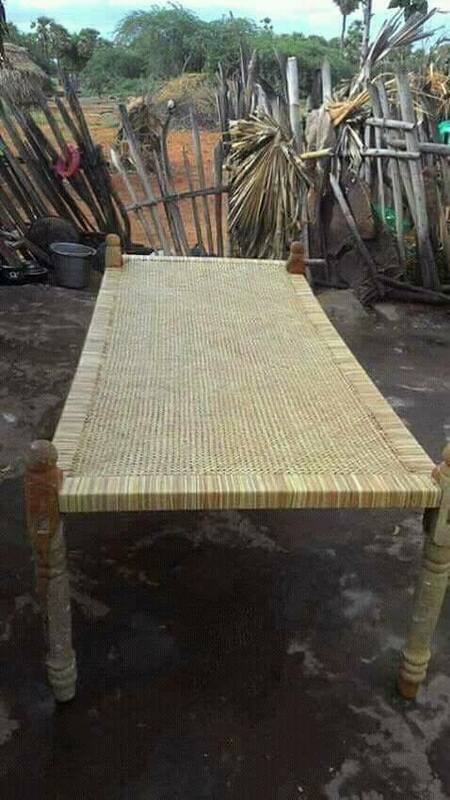 ANOTHER TRANSLATION- IN THE HOT MONTHS, SLEEP ON THE FLOOR. 47.DISCLOSE NOT YOUR WEAKNESS EVEN TO YOUR FRIEND. TAMIL VERSION IS TAKEN FROM PROJECT MADURAI OF M KALYANASUNDRAM. LET US WORSHIP AND PRAISE CONTINUALLY THE FEET OF THE LORD WHO WEARS THE GARLAND OF FLOWERS FROM THE CASSIA (KONDRAI) TREE. WHAT POSSESSION OF GREATER VIRTUE CAN ONE HAVE THAN A WIFE, IF SHE BE FIRM IN HER IN HER LOYALTY TO HER PARTNER IN LIFE? OF WHAT USE ARE PRISON WALLS TO PROTECT A WOMAN’S VIRTUE? THE WOMAN’S POSSESSION OF A FIRM MIND IS HER BEST POSSESSION. USING HARSH WORDS, WHEN PLEASING WORDS ARE AVAILABLE, ISS LIKE GREEN FRUITS WHILE THERE ARE RIPE ONES. A MAN SHOULD TELL THE TRUTH AND SPEAK WITH KINDNESS; HE SHOULD NOT TELL TE TRUTH UNKINDLY NOR UTTER LIES OUT OF KINDNESS. EVEN THE EARTH GROANS UNDER THE WEIGHT OF THE MAN WHO SLANDERS AT THEIR BACK. IT IS BETTER TEN FOLD TO HAVE OPEN ENEMIES THAN GIGGLING FRIENDS WHO BETRAY YOU. WHEN ADVERSITY ADVANCES LIKE A FLOOD, IT VANISHES WITH A THOUGHT IN TH MIND OF THE MAN THAT IS WISE. THE MEAN ARE LIKE THE DRUM THAT IS BEATEN, FOR THEY HEAR SECRETS AND BETRAY THEM. ONE WHO SPEAKS USELESS WORDS THAT OTHERS DISLIKE IS DESPISED BY ALL. Avvaiyaar was a great Tamil poetess. She is considered the grand mother of Tamil literature. Avvai means an old lady of wit and wisdom. There is no Tamil home where her poems are not sung or known. Scholars believe that there were three to six poetesses with the same name. But the style of the language shows that there were at least three Avvaiyars. The current set of adages in Athichudi was composed by a poetess with that name in the middle ages. She is author of many books and lot of verses in Sangam age. She commanded a great influence over Tamil kings. Tamil children in the primary school are taught her Athichudi first. It is set of moral maxims in Tamil alphabetical order. The rhyme and the simple language make children memorise them quickly and easily. She was a great champion of the poor lowly. She was a friend, philosopher and guide to many including the kings. 1.DESIRE TO DO VIRTUE / DESIRE TO DO CHARITY. 3.DO NOT CONCEAL YOUR MEANS/ DO NOT REFUSE HELP WHERE IT IS PRACTICABLE. 4.DO NOT PREVENT GIVING ALMS. 5.DO NOT BOAST OF YOUR POSSESSIONS/ DO NOT SPEAK IN PRAISE OF YOUR GREATNESS. THERE ARE FOUR DIFFERENT READINGS FOR THIS SAYING. LIKE THE SHAPE OF THE LETTER ’ ங ‘ SURROUND AND PROTECT YOUR RELATIVES. STAND LIKE THE LETTER ங ‘ ‘ AND FIGHT I.E. AS THE CONSONANT ‘ ங ‘ TAKES AN INTERMEDIATE POSITION IN WORDS TAKE A STAND BETWEEN THE VAN AND REAR OF YOUR ARMY AND FIGHT. 16.BATHE ON SATURDAY (WITH OIL)’ BATHE THE BODY IN SPRING WATER, FIRST BATHING THE DEFILED MIND IN TRUTH.